Welding method: electric arc weld, ERW (high frequency, low frequency), gas-welding, continuous furnace welding. Material: 08F, 08, 10F, 10, 15F, 15, 20, Q195, Q215A, Q215B, Q235, Q235B. Specification: OD.5-508, WT. 0.5-13.0. Material: 1Cr18Ni9, 0Cr18Ni9 (304), 00Cr18Ni10 (304L), 0Cr25Ni20 (310S), 0Cr17Ni12Mo2 (316), 00Cr17Ni14Mo2 (316L), 0Cr18Ni10Ti (321). The ones in the brackets means "American standard". Material: 1Cr18Ni9, 0Cr18Ni9 (304), 00Cr18Ni10 (304L), 0Cr18Ni10Ti (321). The ones in the brackets means "American standard". Material Q215A, Q215B, Q235A, Q235B, Q295A, Q295B, Q345A, Q345B. Specification: OD: 77.8-1626, WT.4-25. The ones in the brackets "American standard". Specification: OD. 6-426, WT. 0.25-65. Material: 16MnDG, 10MnDG, 09DG, 09Mn2VDG, 06NiMoDG. Material 10, 20, 35, 45, Q195, Q215, Q235, Q295, Q345, Q390. Specification: size: 10-400, WT. 0.8-2.5. 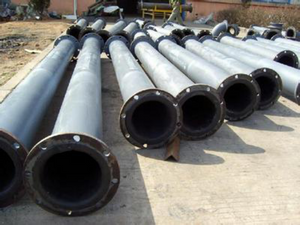 Our company can not only produce GB, international standard pipes, but also various of non-standard series as per clients' requirements to develop and produce, especially for some high technology, difficultly-produced products with light, thin or sophisticated section form. Welcome relative enterprises to use them widely. The products of our company's has been exported to more than 30 countries and highly praised. The tenet of our company is "Credit First, Quality First and Service First".